Join us for a Rain to Roots succulent arrangement collaboration workshop with the Mom Tribe San Diego! 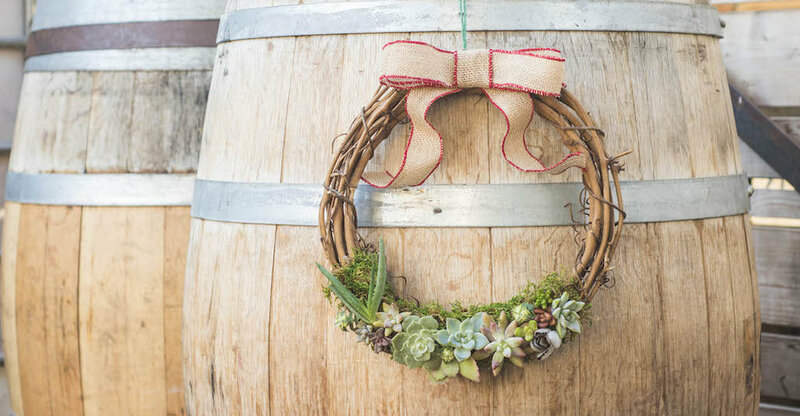 On Tuesday December 12, 2017 from 6:30-8:30p at Hapifish in Encinitas we will be crafting succulent wreaths to celebrate the holiday season! Your ticket includes all of the supplies you will need to create your very own succulent front door decor, instruction on how to do-it-yourself, and a demonstration from succulent designer, Alyssa Hartwick! We will also provide instruction on how to keep your succulents looking fresh for months or even years to come! Along with Mom Tribe we are also partnering with Rady Children's Hospital. We will be donating a portion of our sales from the workshop to the hospital and asking all of our mamas to also bring a toy or pajamas for the kids at Rady’s! This workshop is geared towards "Mom's night out," so ladies only, and no kids allowed! Mom Tribe is all about giving moms a fun night out to mix and mingle with other local moms. Hapifish will be offering complimentary fresh sushi, happy hour pricing on cocktails, and non-alcoholic beverage options for the occasion. Gather your tribe and join us for a fun and festive succulent arrangement workshop with Rain to Roots, Rady Children's Hospital, and the Mom Tribe of San Diego! Cheers!